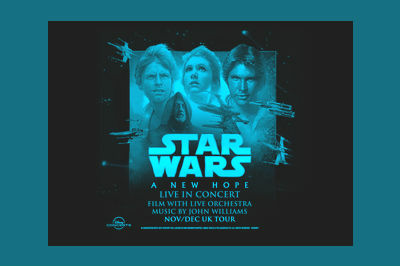 Get ready to go out of this world with the first Stars Wars film (Episode 4) A New Hope on the big screen at the SSE Hydro Glasgow with a full live orchestra. Witness, like never before, the first epic clash between the Rebel Forces and the Dark Galactic Empire in this exciting sci-fi saga. The film introduces us to the classic characters of Luke Skywalker, Ben Kenobi, Princess Leia, Han Solo, Chewbacca, Droids C-3PO and R2D2 as well as the menacing Darth Vader. Tickets for this very special screening taking place Sunday 9 December 2018 are on sale with Ticketmaster, make sure you book yours in advance to avoid disappointment.